As a unionized employee, the strongest way you can show solidarity with striking workers is to exercise your right to refuse to cross the picket line as a matter of individual conscience and free expression, which is permitted by Article 19 of our UAW 2865 contract. When you refuse to cross, you aid other workers by making their strike more effective. Respect their picket line by canceling your class, lab, or office hours, in line with your right to free expression. Talk to your students and colleagues about the strike. Show up to the picket line to demonstrate solidarity, and encourage your students and colleagues to do the same. If you miss work in solidarity, UC may not pay you for the days you are out. However, our contract protects you from any form of discipline for exercising your right to free expression by choosing not to cross the picket line. If you encounter intimidation or retaliation from UC, please contact your union representative. For Executive Board: All UAW Local 2865 members in continuous good standing for one (1) year prior to accepting nominations are automatically nominated for these positions; for the Northern Vice President position, the nominee must additionally be a member from Berkeley, Santa Cruz, Merced, or Davis; for the Southern Vice President position, the nominee must additionally be a member from San Diego, Irvine, Los Angeles, Riverside, or Santa Barbara. For Head Steward, Unit Chair, and Campus Recording Secretary: All UAW Local 2865 members in continuous good standing for ninety (90) days prior to accepting nominations are automatically nominated for these positions. Concurrently held positions: Members may not hold more than one position on the Executive Board or Joint Council at a time. Each member who wishes to accept nomination must indicate this intention in writing. Please only accept the nomination if you intend to run for the position, as nomination acceptances cannot be withdrawn once the nominating period has closed. Accept your nomination by email, fax, mail, or hand delivery. Email your acceptance of the nomination to elections@uaw2865.org, or fax to (510) 549-2514. Candidate statement (up to 500 words, optional) – In the case of a contested election, the statement will be posted on the Local’s website and at applicable campus offices no later than Friday, April 19th, and will be available at polling sites during the election. The term for these offices is from the time the election is certified until the Local’s next Biennial election, which is scheduled for May 2021. Times are the same for both Wednesday and Thursday—10:00am to 6:00pm. After long negotiations with UAW 2865, UC has finally agreed to compensate over 700 student workers at UCPath campuses who experienced issues with pay, with after-tax amounts ranging from $150-$450. These payments are in addition to any pay owed by the university and are intended to make workers whole for difficulties they experienced—such as late fees, loan interest, stress, and inconvenience—due to missed or late paychecks caused by UCPath. This victory was only possible because of the determined effort of UAW 2865 members and leaders across the state who came together to confront chancellors, speak with legislators, and talk to their coworkers about the botched UCPath rollout. UCLA UAW members confront Chancellor Block about UCPath on November 30, 2018. To receive your pay, you must ensure that your pay method is up-to-date in the UCPath portal. The settlement shows what can be accomplished when workers fight for their rights, and it’s a lesson to carry forward as the UCPath rollout continues at UC-Davis and UC-Berkeley next month. While it’s great to see the University taking accountability for the harm caused by UCPath, this battle is far from over. Please report here if you continue to experience pay issues, and share this form with any Academic Student Employee you know who might be having problems with UCPath. Email UAW 2865 if you have any questions or would like to get more involved. Congratulations on this hard-fought victory! Members from across the state have come together to author a petition to the Student Health Advisory Committees and UC Chancellors to make much-needed improvements to Academic Student Employee (ASE) care. Building on ASE responses to a statewide healthcare survey, the petition calls for lower co-pays for mental healthcare, lower dependent care premiums, and member-led peer-to-peer trainings on SHIP. UCSB members about to speak with Chancellor Yang about ongoing UCPath issues, Tuesday, January 29, 2019. 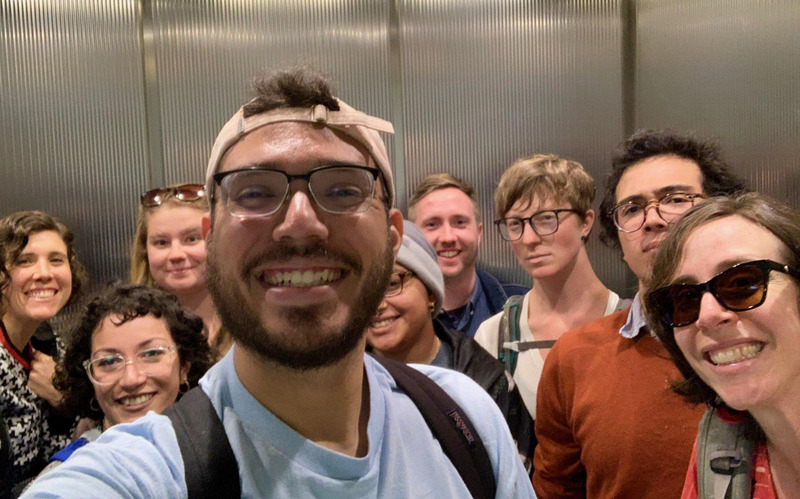 At UC-Santa Barbara, union members brought a letter to Chancellor Yang this week demanding that workers—still unpaid for any of the work they performed last quarter—be paid immediately. The Chancellor committed to paying those workers in full by tomorrow, February 1. Please look at your paystub tomorrow and report here if you have any issues.